The most significant differences in local tax treatment between a share deal and the acquisition of business assets and liabilities are the application of value added tax (VAT), income tax exemptions and accounting of goodwill. In most share deals, the transaction is exempt from (or not subject to) Turkish VAT, and corporate and individual sellers benefit from income tax exemptions on capital gains, if any, while the acquisition of business is usually a taxable transaction in terms of Turkish VAT and income taxes. In case of business acquisitions, in principle, the VAT applies at relevant rates varying between 1 per cent and 18 per cent over the market value of the concerned assets. Generally, the VAT is calculated and declared by the seller and reimbursed from the purchaser. Under the local VAT offsetting mechanism, such input VATs can be recovered by the purchaser by way of offsetting them against the output VATs. The goodwill, on the other hand, is expected to be a positive amount that represents the difference between the deal price (ie, the consideration for the business acquisition) and the market value of the concerned assets. The transfer of goodwill is subject to VAT at the general rate of 18 per cent, which is the highest VAT rate applicable in Turkey, and there is no exclusive income tax exemption for the goodwill. Furthermore, as per recent regulations, the agreements executed for the transfer of stock in certain Turkish companies are exempt from stamp duty, which is a unique type of local document tax with a potential cost of around US$332,000 (as per current exchange rates) per each legal instrument. Usually there is no stamp duty exemption applicable for the agreements, deeds or protocols executed for business acquisitions; stamp duty may therefore be an incremental burden to be calculated at approximately 1 per cent over the deal price. For 2018, the general rate of stamp duty is 0.948 per cent (almost 1 per cent) and the base for taxation is generally the highest monetary amount referred to in the agreement (eg, the consideration, the deal price). There is no step-up for the concerned assets (or generation of goodwill) in share deal transactions, unless the seller (pre-acquisition) or the purchaser (post-acquisition) opts to have a revaluation made at the level of the target company (ie, as a separate accounting process). In case of business acquisitions, however, all the concerned assets are transferred at their market price, which usually leads to a step-up in basis at the level of the purchaser company either because they were booked at their historical value under the relevant local generally accepted accounting principles (GAAP) or because they were fully depreciated. In addition to such step-up, the useful life of each of the concerned assets will be restarted at the level of the purchaser company for the purposes of tax-oriented depreciation. Because its transfer and related income are subject to value-added tax and income tax, respectively, from a local tax perspective, a positive amount of goodwill (which represents the difference between the deal price and the market value of the concerned assets) is expected to be generated in business acquisitions. Accordingly, in case of business acquisitions, such goodwill can be depreciated for tax purposes at the level of the purchaser company as is the case with all other intangible assets required for the generation of commercial income and maintenance of business activities. In cases of business acquisition, it is always preferable for the transaction to be executed by an entity (eg, a branch or a subsidiary) established in Turkey because generation of income within a fiscal unit (post-acquisition) requires a tax-registered local entity to be established in Turkey. It is not practical for a foreign (or non-resident) company to deal with tax compliance, social security or foreign trade activities without having a locally established legal entity even though theoretically it could be possible for a permanent establishment registered for tax purposes to carry out business in Turkey. Usually incorporating a joint-stock company is preferred by the investors, compared to a limited liability company, due to its broader tax benefits in case of an exit in the future. Briefly, having a subsidiary, such as a joint stock company, incorporated in Turkey may serve to eliminate most local taxes through a share deal, for example, if the investor intends to fully or partially exit their investment after a certain period of time. In case of such a future share deal, it may be possible to have VAT and stamp duty exempt and to significantly reduce income tax on capital gains, if any. Regarding the share deal transactions, on the other hand, foreign investors do not generally prefer to have a Turkish entity to execute the acquisition of stock in the target company because there is no fiscal unity (or tax consolidation) in Turkey and each additional layer of incorporation leads to a one-year lag in upstream dividend distribution from the target company, as an interim dividend distribution mechanism does not work as efficiently as a year-end distribution. In opposition to the aforementioned general preference, there have been share deals where foreign investors opted to have local acquisition companies, such as JVs and SPVs, execute the transactions. These particular examples were involving special motivations such as having local partners directly contribute into the joint venture or satisfying certain requirements in the bilateral income tax treaties to which Turkey is a party. Although they can be carried out free of tax, company mergers or share exchanges are not common forms of acquisition in Turkey because neither of these forms permits the investors to acquire significant interest in the target company without entering into two-way exchange of stock in other companies. These two forms are preferred for internal group restructuring or for post-acquisition structuring purposes if the investors have other companies in Turkey. Regarding the share deals in Turkey, the most common form of acquisition is transfer of stock in the target company in return for cash consideration since the capital gains, if any, are either wholly or mostly exempt from income taxation in the majority of the transactions. There is a specific type of share-swap regulated under the Corporate Income Tax Law, according to which acquisition of majority interest (ie, shares and management) in a capital company by a Turkish capital company can be exercised by way of delivering newly issued stock in the acquirer company to the sellers as consideration rather than cash. As per the law, the accounting gains arising from the exchange of shares are exempt from taxation. This particular form of transaction might be preferred for internal group restructuring or for post-acquisition structuring purposes. Although there is no specific valuation methodology provided by Turkish tax laws for the determination of share exchange ratio, it is expected to be a reasonably practicable one in order to ensure an arm’s-length transaction. Apart from the aforementioned share-swap scheme, Turkish tax laws do not provide for any specific tax benefits to the acquirer issuing stock as consideration rather than cash. On the contrary, if the aforementioned share-swap mechanism is not the case, the acquirer’s issuing stock as consideration may jeopardise a Turkish corporate seller’s qualification for income tax exemption for capital gains, if any, because one of the conditions for benefitting from such corporate income tax exemption is to have the sale proceedings fully collected in a given period of time, and in cash terms. As per the secondary regulation, even cash-equivalents, such as stocks listed in Borsa Istanbul Stock Exchange, delivered by the acquirer as consideration have to be converted into cash by the Turkish corporate seller within such given period of time if concerned income tax exemption is elected. Otherwise, the underpayment of income tax will have to be compensated by the seller with late payment interest. Turkish stamp duty is a unique type of document tax where the subject matter of taxation is the concerned legal instrument (or the ‘paper’, as referred to in the law). In other words, the acquisition, in and of itself, is not subject to taxation because stamp duty is not a transaction tax. However, if an agreement is executed for the acquisition in Turkey, it is, in principle, subject to stamp duty at a rate of 0.948 per cent (determined for 2018) over the highest monetary amount that is externally computable or referred to therein - generally the monetary base is the deal price. As per recent regulations, the agreements executed for the transfer of stock in certain Turkish capital companies are exempt from stamp duty. Stamp duty could amount up to around US$332,000, which is the US dollar equivalent of the stamp duty cap determined for 2018 per each legal instrument. Usually there is no stamp duty exemption applicable for the agreements, deeds or protocols executed for business acquisitions; stamp duty may therefore be an incremental burden to be calculated at approximately 1 per cent over the deal price. Generally, the share deal transactions are exempt from (or not subject to) VAT in Turkey. In case of business acquisitions, on the other hand, in principle the VAT applies at relevant rates varying between 1 per cent and 18 per cent over the market value of the concerned assets - the transfer of goodwill is subject to VAT at the general rate of 18 per cent. Generally, the VAT is calculated and declared by the seller and reimbursed from the purchaser. Under the local VAT offsetting mechanism, such input VAT can be recovered by the purchaser by way of offsetting them against the output VAT. The net operating losses, tax credits or other types of deferred tax assets are not subject to any limitations after a change of control of the target company or in any other circumstance such as insolvency. On the other hand, a certain portion or amount of the carried-forward previous years’ losses may have to be waived if the concerned fiscal unit is terminated and merged into another company or certain tax amnesty provisions are opted in. In order to preserve most of the carried-forward tax losses in mergers, merging the other fiscal unit into the company with the most losses could be a tax-efficient strategy. Turkish tax laws do not provide for any specific rules and there is no special tax regime for the acquisition of bankrupt or insolvent companies. As a general rule, however, reorganisation of such companies, such as by merger or demerger, is expected to be solution-oriented (eg, to cure the insolvency). In principle, acquisition-related financing expenses (ie, interests and foreign exchange losses) incurred at the acquisition company level are tax deductible. In case of business acquisitions, the financing expense would be a tax shield against the operation income at the acquisition company level. On the other hand, in case of share deal transactions, where there would be an acquisition company and a target company in the picture, the financing expenses of the acquisition company and the operation income of the target company cannot be consolidated because there is no fiscal unity or tax consolidation mechanism in Turkey. Thus, generally, acquisition-related financing expenses to be incurred at the acquisition company level cannot be utilised effectively. Furthermore, deduction of acquisition-related financing costs through a post-acquisition merger (ie, debt pushdown) is not allowed, and local tax authorities would likely challenge such a tax-oriented reorganisation if such financing expenses are not accounted for as ‘non-deductible expense’ post-merger. The deduction of financial expenses may not be allowed if it is subject to thin-capitalisation or transfer pricing restrictions apply in cases of borrowing from related parties. Generally, if the amount of related party loan exceeds three times the shareholders’ equity of the acquisition company (ie, borrower), along with some other unfavourable tax implications, the exceeding portion is re-characterised as thin capital and the financial expenses corresponding to the thin capital will not be deductible for corporate tax purposes, as is the case with any overstated payment to related parties made against the arm’s-length principle. Turkey recently introduced a favourable allowance for partial deduction of ‘notional interest’ as a tax incentive measure for capital increases in the form of cash. So, in case of business acquisition, a Turkish acquisition company, which is also an operating company deriving business profits, is able to deduct 50 per cent of the notional interest. In case of share deal transactions, on the other hand, the acquisition company cannot benefit from such allowance because it is an intermediary holding company mainly deriving passive income. Under the local legislation, interest payments to foreign (or non-resident) corporations (other than banks or financial institutions) are subject to Turkish income tax through withholding at a rate of 10 per cent, whereas the rate is reduced to zero per cent if the loans are extended by qualified financial institutions or banks. All generally accepted forms of protection measures can be used during share deals and business acquisitions. Generally, the buyers seek warranties and indemnities in share deals for all the previous tax periods prior to the acquisition. This mainly includes cooperation in good faith, indemnification of tax claims by the authorities and the accuracy of on-balance-sheet and off-balance-sheet deferred tax assets. As per the established practice, payments in relation to a warranty or indemnity claim are considered price adjustments and treated for tax purposes accordingly. A typical example of post-acquisition restructuring is the merger of the target company with another group company or the acquirer company in Turkey, if any. 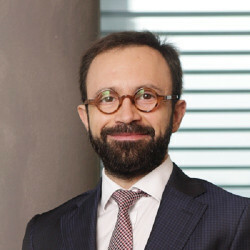 Given the facts that there is no fiscal unity (or tax consolidation) in Turkey and each additional layer of incorporation leads to a one-year lag in upstream dividend distribution, post-acquisition restructuring generally aims for simplification of shareholding and financing schemes in Turkish companies. Regarding the restructuring of financing schemes at the level of the acquirer company or the target company, the investors usually tend to replace the existing debt with their preferred lending arrangements. As part of the restructuring of the financing scheme, investors have to work on the debt-to-equity ratios based on their preferred working capital mix, the capital insolvency requirements in the Turkish Commercial Code, and the restrictions in the local tax laws. Tax neutral spin-off transactions (or demergers) are relevant only if the concerned fiscal unit could be split into different lines of business. They could be structured as full or partial demergers: all assets of the splitting company are spun off to two or more new or existing companies; or only one or several lines of business could be spun off, with the splitting company also retaining part of the ongoing activities. The partial demerger, where the splitting company retains part of the ongoing activities, is usually the preferred form of tax neutral spin-off transaction. In case of partial demerger, the carried-forward previous years’ losses that could be associated with spun-off business lines are not transferred; however, they can be preserved at the splitting company level. There is an exclusive exemption in the stamp duty law for tax neutral merger and demerger agreements. As a result, not only is the transaction exempt from income taxes and transactional taxes, but all related transaction documents are also exempt from stamp duty in Turkey. From a legal standpoint, there will be a universal transfer of all obligations and liabilities related to the spun-off business(es). From a tax standpoint, the receiving company will be jointly and severally liable with the splitting company for the tax liabilities related to the pre-demerger period; this liability is capped at the market value of the spun-off assets. Cross-border demergers (ie, direct demergers of an entity incorporated in Turkey to an entity incorporated elsewhere) are not possible. It is not possible to migrate the residence of a locally incorporated acquisition company (or target company) from Turkey because incorporation is considered a measure of residence for Turkish tax purposes. Interest accruals in relation to loans obtained from non-resident companies (other than qualified financial institutions and banks), are subject to withholding tax at a local rate of 10 per cent. Should the lender be a qualified non-resident financial institution or bank, as per the law, the applicable rate is reduced to zero per cent. Any relief or provision of bilateral income tax treaties to which Turkey is a party is reserved. Companies in Turkey can freely distribute their after-tax profits provided that they have sufficient profits to cover all the accumulated losses from previous fiscal periods, if any, and the legal reserves are set aside at the distributing company level. As per Turkish tax laws, dividends distributed to non-residents and individual shareholders are subject to income tax through withholding at a local rate of 15 per cent, as is the case for upstream income repatriation by the Turkish branches of non-resident companies. The rate may be reduced by virtue of bilateral income tax treaties to which Turkey is a party, subject to certain conditions such as the beneficial ownership test. Dividend distribution between Turkish entities is not subject to local income taxation. Non-resident companies are allowed to establish branch offices, carry out business activities through such fiscal units and are taxed as limited taxpayers in Turkey under similar principles with Turkish companies. Branch offices could be preferred by foreign investors if, for example, their intention is not establishing a joint venture, having a partner in shareholding, or exiting their investment through a share deal. For certain jurisdictions, upstream profit repatriation from the Turkish branch to its non-resident principal may be exercised quite tax-efficiently (ie, at relatively low rates, compared to dividend distribution by Turkish companies) by virtue of bilateral income tax treaties between Turkey and the jurisdiction of which the principal is a resident. The common form of disposal transactions carried out in Turkey is the disposal of stock in the local company (ie, share deal) because of tax and legal reasons. Unlike the requirement of separately dealing with the transfer of each single business asset (eg, at the relevant registries, under separate agreements), legally a share deal is the most straightforward and least burdensome way of disposing of the assets sitting in a local company. Even from an ultimate individual seller’s tax perspective, a share deal is usually the most tax-efficient and least expensive way because extracting the proceeds from the local seller company often has significant tax costs. Disposal of stock in the foreign (or non-resident) holding company by another foreign company does not have any tax implication in Turkey. This type of disposal takes place in global acquisitions where the purchaser company acquires interest in subsidiaries in a number of jurisdictions, so a share deal at a higher level provides simplicity and efficiency. In many cases, if the acquirer is also a non-resident company, it may be argued that gains derived by non-residents on disposal of stock in the local companies, if any, are not subject to income taxation in Turkey in the first place. Should the transaction fall within the scope of Turkish income taxation, foreign investors usually benefit from a treaty relief or they just consider it an extensive local tax shield. As per the treaty relief in question, which is stipulated in most of the bilateral income tax treaties to which Turkey is a party, Turkey does not have taxation rights in relation to the concerned gains if the non-resident seller has been holding the concerned stock for a period of more than one year. There are no special rules in tax laws dealing with the disposal of stock in real property, energy or natural resource companies. Any special provision of bilateral income tax treaties to which Turkey is a party is reserved. Although there is a similar tax-free rollover regime regulated for certain Turkish taxpayers that serves avoiding income taxation on the disposal of assets, we do not think it is relevant for deferring or avoiding tax in relation to the concerned disposal of shares or business assets. The local tax regime in question simply requires replacement of the economic asset with a new model that possesses identical specifications.